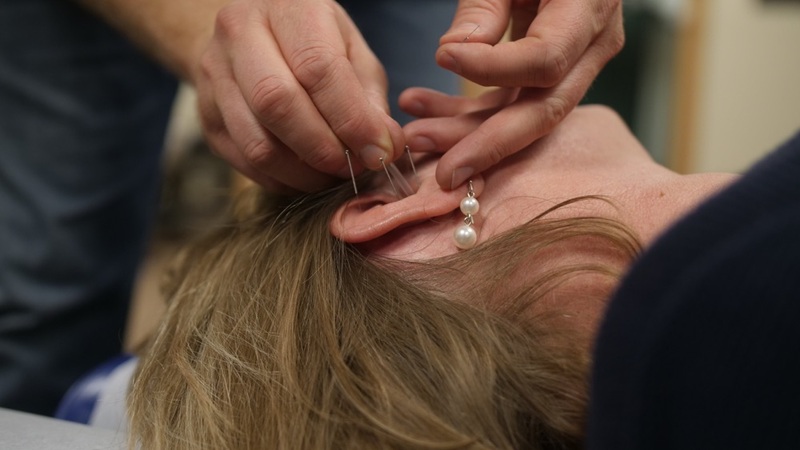 We offer 5 different ways to stimulate the acupuncture points without needles… that’s right! We adopted these methods to treat kids, because what kid likes needles? Also those taking blood thinning medications, those who bruise easily, and for all of the needle-phobics. We’ve found these to be just as effective when compared to the needle. Available for purchase for home acupuncture stimulation. Acu-buzzer: Apply vibration to each point for about 15 seconds each. Class 3b Laser: Laser stimulation allows us to treat each point for only 5 seconds each point. We can also customize the light frequency to stimulate each point to maximize healing time. We also offer acu-lasers that you can purchase and take home with you and treat your points from home. This light pen is set to a specific frequency for optimal stimulation for each point. We’ll send you the points you need with pictures that help you find the points easily, and you can continue your treatment at home each and everyday. We’re noticing the best response when patients do their points each day. Ear Seeds: These small clear band-aid like beads stimulate points for weeks at a time. This allows you to leave the office and continue your day to day activities with constant stimulation of the point. These were great for a number of issues, especially allergies. Our Acugraph Software allows us to take a snapshot of how each meridian or pathway in the body is functioning. The theory of meridian acupuncture is that each pathway affects the organ its associated with and any joint or tissue it passes through. For example the Lung meridian starts at the upper chest and runs down the arm to the thumb. An imbalance in the lung meridian can cause pain along the outer arm, elbow, wrist and thumb. The software also provides a list of chinese herbs and acupuncture points that will best fit your needs at the moment. This software allows us to customize your treatments every visit.